Regardless of whether you’re moving across town or internationally, you are bound to feel overwhelmed or stressed at some point during the moving process. If you’re searching for Boston movers that are experienced, dependable, and guarantee a hassle-free move, you can’t go wrong with Rainbow Movers. Moving to a new house, apartment, or condo requires a great deal of planning and packing. Fortunately, our Boston moving company can help. Rainbow movers offers a number of packing services such as full-service packing, fragile only packing, and self pack so that your precious belongings make it safely to your new space. You’ll also collaborate with a moving consultant that will help you design a custom moving plan and begin the packing process. Learn more about our Residential Moving Services. If you’re in need of corporate moving support, our Boston moving company is an invaluable resource. Whether you’re looking to relocate an employee or group of employees, move your company, or transport some equipment, Rainbow Movers will exceed your every expectation. We are dedicated to ensuring that your corporate moving plan does not disturb the productivity of your business. Learn more about our Corporate Moving Services.  For international moving services, Rainbow Movers is your best bet. Since 1918, our international specialists have assisted families and businesses relocate across the globe. Our international specialists can help you with every step of your international move including pre-move planning and clearing customs at your destination. Learn more about our International Moving Services. In addition, Rainbow Movers is pleased to offer secure, climate-controlled storage so that your belongings can stay safe at all times. Our facility is equipped with traditional vault storage units for household possessions and specialized units for fine art, antiques, and sensitive electronics. Racked and palletized storage for commercial needs is also available. Learn more about our Storage Solutions. For more information on how our Boston moving services can make moving an easy and enjoyable process for you, call us today at 508-528-4111. We look forward to lending you a helping hand during one of the most important times in your life.